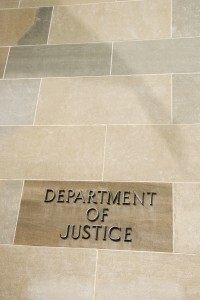 The U.S. Department of Justice announced today that it has recovered a record $5.69 billion in settlements and judgments from civil cases involving fraud and false claims against the government during the 2014 fiscal year, ending September 30. Historically, this is the first time the department has exceeded $5 billion in recoveries for cases brought under the False Claims Act, and brings total recoveries over the past five years to $22.75 billion. This total accounts for more than half of all recoveries since Congress amended the False Claims Act 28 years ago in order to strengthen the statute and increase the incentives for whistleblowers to file suit. Most false claims actions are filed under the statute’s qui tam provisions that allow individuals (known as whistleblowers or relators) to file suits on behalf of the government alleging fraud. The number of qui tam suits filed in fiscal year 2014 exceeded 700 for the second year in a row with whistleblowers receiving $435 million in rewards from the $3 billion recovered in cases that they initiated. The False Claims Act remains the government’s primary civil remedy to recoup funds and property under government contracts, including national security and defense contracts, as well as under government programs as varied as Medicare, veterans’ benefits, federally insured loans and mortgages, transportation and research grants, agricultural supports, school lunches and disaster assistance. Overall, the recoveries this year reflect the administration’s goals of holding the financial industry accountable for its part in the gross misconduct that led to the housing and mortgage crisis, and to continue to root out fraud in the health care industry. In fiscal year 2014, the department recovered an unprecedented $3.1 billion from banks and other financial institutions involved in making false claims for federally insured mortgages and loans. Additionally, false claims involving federal health care programs such as Medicare and Medicaid accounted for $2.3 billion. The $3.1 billion in federal funds recovered following the housing and mortgage crisis includes: $1.85 billion from Bank of America Corporation; $614 million from JPMorgan Chase; $428 million from SunTrust Mortgage Inc.; and $200 million from U.S. Bank. More specifically, Bank of America paid $1.85 billion to settle allegations of false claims in connection with the bank’s practices in underwriting, origination, and quality control of residential mortgages the bank sold to Fannie Mae and Freddie Mac, as well as loans insured by the Federal Housing Administration (“FHA”). The settlement also covered the bank’s alleged submission of inflated insurance claims to the FHA. Bank of America acknowledged that it had misrepresented the quality of loans to Fannie Mae, Freddie Mac and the FHA. SunTrust paid $418 million to settle allegations of false claims in connection with mortgages insured by the FHA. SunTrust admitted that between 2006 and 2012, it originated and underwrote FHA-insured mortgages that did not qualify for federal insurance under the FHA program, failed to institute an effective quality control program to identify noncompliant loans, and failed to report the noncompliant loans it did identify to the FHA as required. The $2.3 billion in health care fraud recoveries stem from cases involving false claims against federal health care programs such as Medicare, Medicaid, and TRICARE. The pharmaceutical industry accounted for a significant portion of the funds recouped. For example, Johnson & Johnson and its subsidiaries paid $1.1 billion to resolve False Claims Act allegations related to prescription drugs Risperdal, Invega and Natrecor. The government had alleged that the drugs were promoted for uses not approved as safe and effective by the U.S. Food and Drug Administration (“FDA”). Because J&J marketed the drugs for uses not covered by federal health care programs, the company’s promotion of the drugs caused physicians and other health care providers to submit fraudulent claims. The government also alleged that J&J paid kickbacks to physicians and to Omnicare Inc., the nation’s largest provider of pharmaceuticals to nursing homes and long-term care facilities. In addition to the federal civil settlement, J&J paid more than $600 million in civil claims for state Medicaid programs and $485 million in criminal fines and forfeitures, making this $2.2 billion global resolution of the government’s claims one of the largest health care fraud settlements in U.S. history. In a separate settlement, the department also recovered $116 million from Omnicare. Finally, the department aggressively pursued fraud in government procurement and other federal programs. Significant recoveries include settlements with Hewlett-Packard Co. and Boeing Co. Hewlett-Packard paid $32.5 million to resolve claims involving a contract for IT products and services with the U.S. Postal Service. Boeing paid $23 million to settle alleged false claims for labor on maintenance contracts for the C-17 Globemaster aircraft with the U.S. Air Force. The government also filed suit against a number of government contractors, including: Kellogg, Brown & Root, and CA Inc.